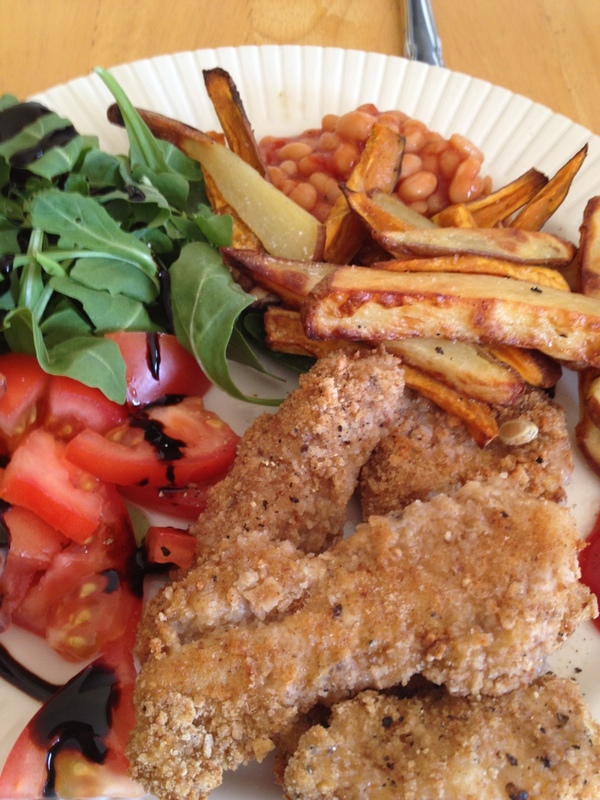 Here are some dinner ideas from during the last 2 weeks since I started in Slimming World. This is a version of the “Tricolour Carbonara” from the SW books. 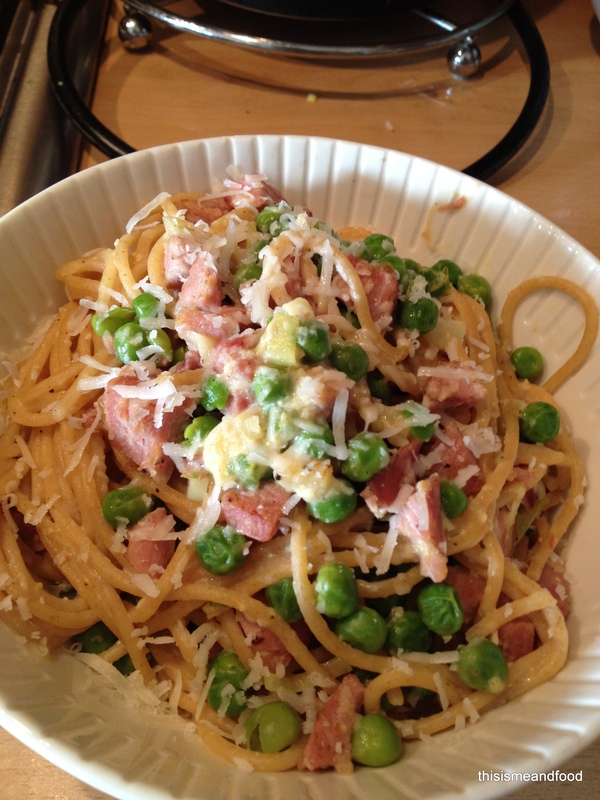 My husband, who does not normally like carbonara said it was the nicest he ever had – it’s really light and very tasty! When pasta cooked, drain, keep a little of the water in the end, throw in the leek and bacon and take off the heat and stir in the egg and ffff mix and stir well. Divided into 4 bowls and sprinkled with a little grated Parmesan. Junior1 had great fun making these with me. Into the food processor went a small onion which was finely chopped then salt and pepper, a tablespoon of ketchup and some dried oregano. 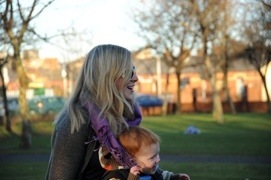 We shaped them into burgers (“big one for daddy, medium for mammy and small for me”) and onto a hot griddle. 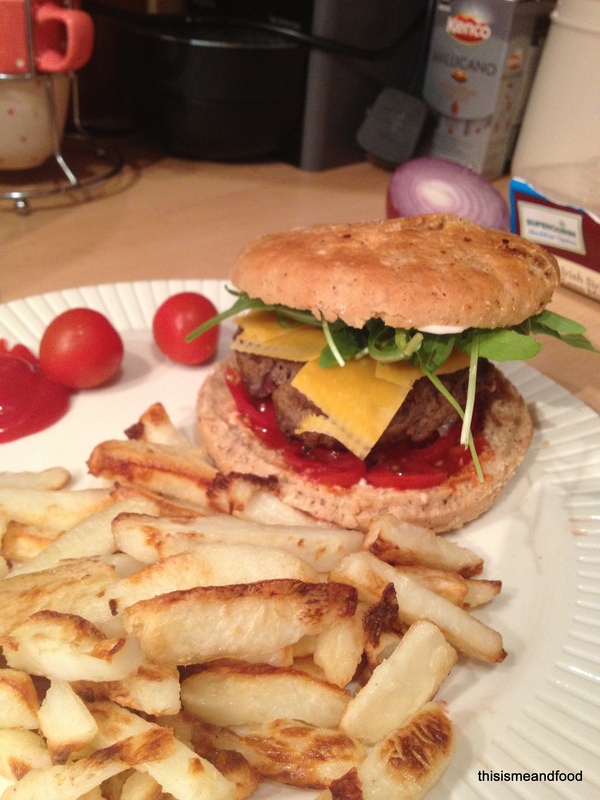 The chips made in the usual way and I put the burgers into the oven after they were sealed. 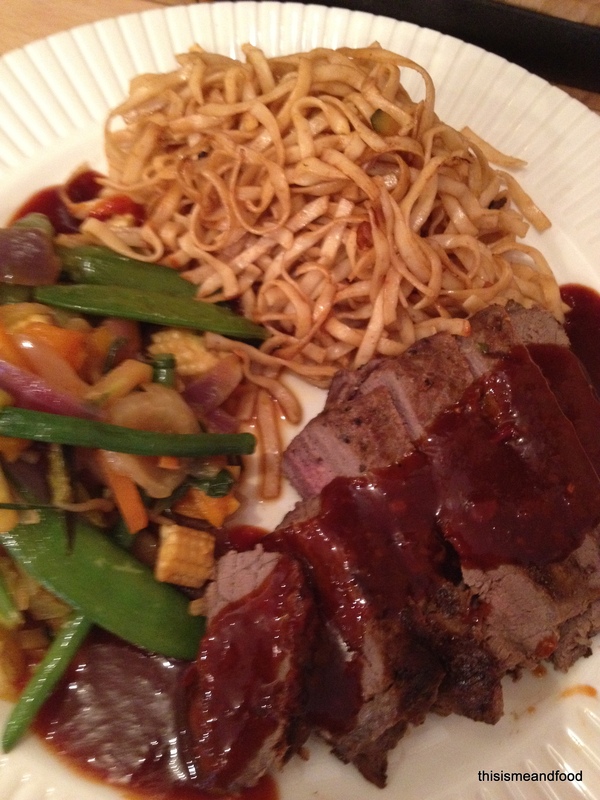 Sirloin Steak with soy, ginger and honey glaze, with stir fried Veg and wholewheat noodles. I got the recipe from a Food Club i’m in on a forum, the recipe called for Duck, which i’m not a big fan of so I griddled the sirloin and made the glaze. I used a tablepsoon of sesame oil in the veg (3 syns between 2 servings) and soy sauce, and just a drop of soy on the noodles. Really really tasty.